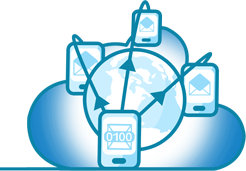 SMS Broadcast masking feature allows your company to send out BULK SMS messages to your customer database in one click. The sender name ID is masked to your companies name for a more personalized and professional SMS message. Consumers’ transactions are made easy with the advancement of Pixsell Mobile that works to 700 Telcos over 130 countries. The system can make any requests, inquiries, or any business process in real time. This product feature can be used to send personalized reminders, birthday greetings according to the schedule and frequency that you prefer for internal and external campaigns. Create “Your Own Company 4 Digit SMS Gateway” Pixsell Mobile works on all Models of GSM-capable mobile phone without the need to purchase Sim Development Kit (SDK) or download Java applications to take advantage of the convenience of the advance Menu service. The Menu allows the company to do all their wanted transaction all in one session at one cost. 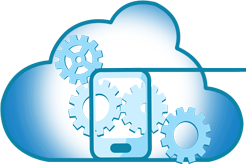 Automate your SMS programs via API with our SMS Business Solutions. Create your own SMS Program with keyword specific mobile solutions customized for your company’s needs.